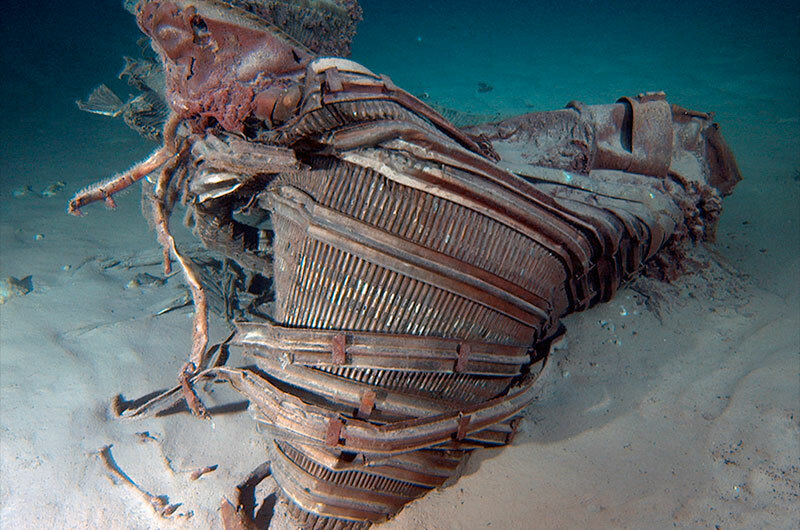 — The historic NASA rocket engine parts raised off the ocean floor by Amazon founder Jeff Bezos have landed at a Kansas museum, where the 40-year-old artifacts' conservation will soon begin in view of the public. The Kansas Cosmosphere and Space Center announced Monday (March 25) the arrival of more than 25000 pounds (11,340 kilograms) of Apollo-era F-1 engine components, which just four days earlier had arrived on shore in Cape Canaveral, Fla.
"Raising these artifacts from a depth of three miles below the ocean surface is a herculean task by itself, and we salute Bezos and his entire team for their perseverance and tenacity in the effort," said Jim Remar, Cosmosphere president and chief operating officer. Remar took charge of the conservation portion of the F-1 engine artifacts as they were offloaded at Port Canaveral to begin their trip to the Hutchinson, Kansas, museum. 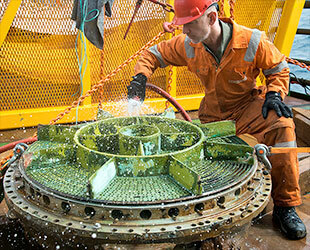 Now at the Cosmosphere's SpaceWorks, a 20,000 square foot (1,860 square meters) facility, conservators, artisans, craftsmen and engineers will carefully separate the engine components of each recovered piece, some weighing over 2000 pounds (907 kilograms), and continuously flush each piece in basins containing water and anti-corrosion agents to remove ocean debris and prevent further decay. 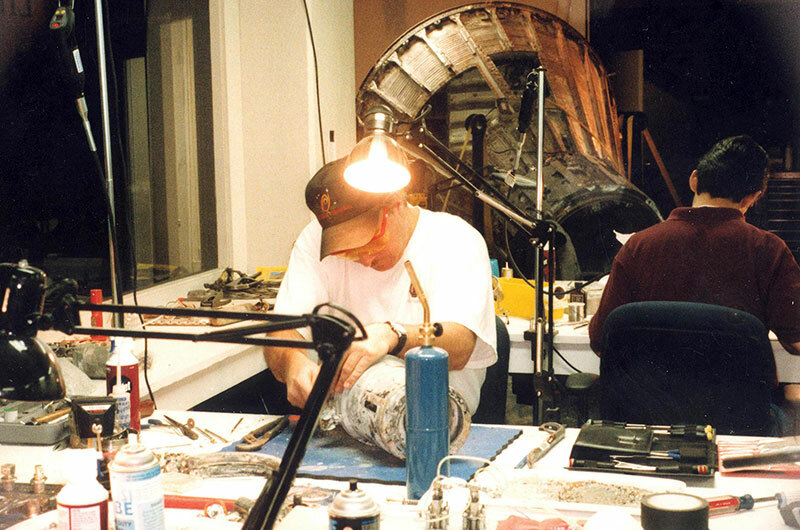 Once each F-1 part is stabilized, it will undergo a detailed conservation process involving a thorough cleaning, photo documentation, and a studiously-prepared provenance of its components, manufacture and use. According to the Cosmosphere, the F-1 engines' recovery and conservation project will be one of the most complex efforts ever undertaken. 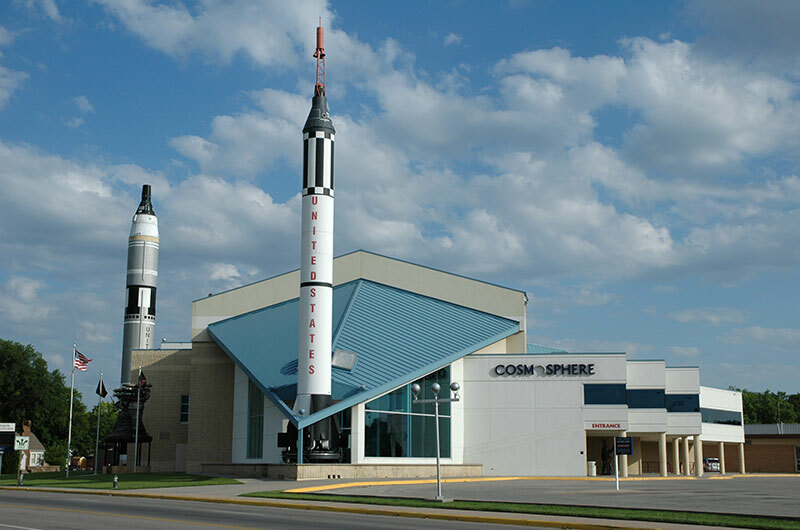 SpaceWorks is perhaps best known for its restoration of Liberty Bell 7 and for Odyssey, the Apollo 13 command module, both of which are now on public display in the Hall of Space at the Cosmosphere. 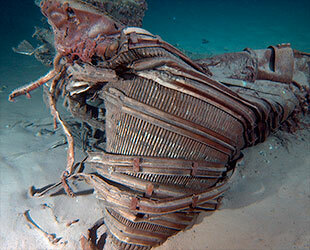 Remar stressed however, that while both projects were aimed at restoration, the F-1 engine project now underway is considered a conservation mission. 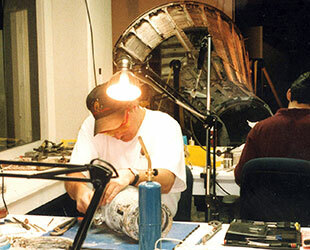 "A conservation project such as the F-1 engine recovery is very different," Remar continued. "Here, our goal is to conserve the artifacts, preserve the integrity and original materials of the engines, and prevent any further damage from corrosion or age." 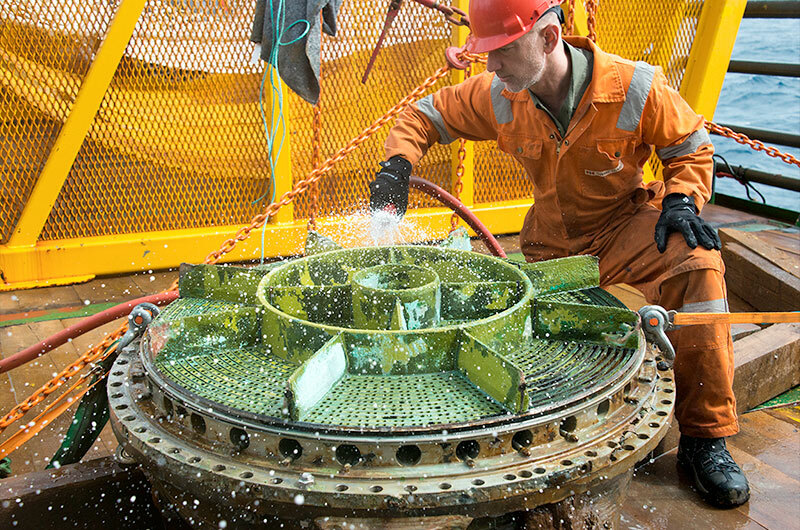 "They'll be cleaned and documented, and their engineering designs studied with modern scanners and technology," Remar said. "But the engines will not be rebuilt with new materials or replicated in any way." 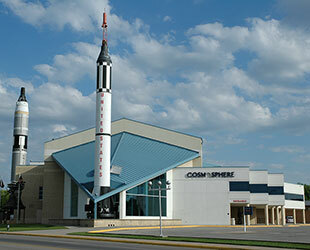 For more information on viewing the Apollo rocket engine conservation see the Kansas Cosmosphere's website.